Every good D&D game needs at least a few magical items. They don't have to be as powerful as the One Ring, or as useless as an Orb of Opinion, but a well balanced Magic Item is the perfect reward for your players after completing a quest or any difficult challenge. After seeing the art of James Perrett, we were inspired to create these four magical items that you can use in your game. James' art is colourful and fun and he is an endless source of character sketches and magic items that are little outside of the norm, and are perfect to give to any party member. A well known secret of the druid's, that let's you carry fire with you wherever you go. 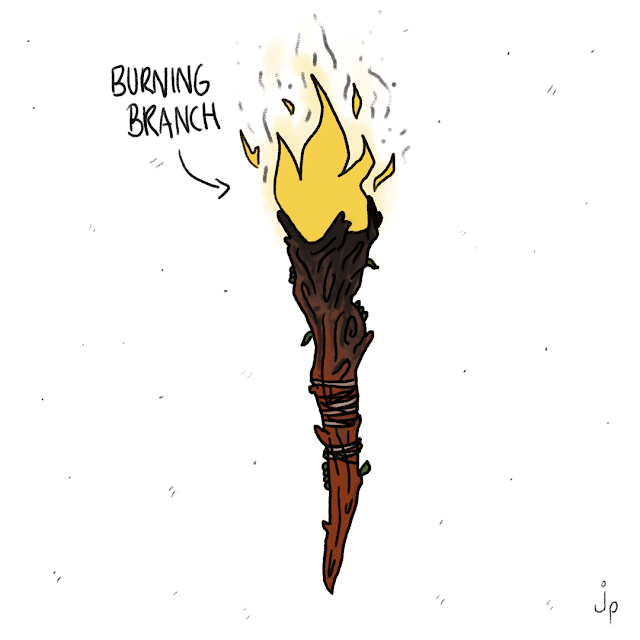 A Burning Branch creates fire at will with a whisper of the words "Burn Baby, Burn." Watch for your beard and eyebrows as the fire can be unpredictable. While saying the activation words, roll 1d6, on a 1 a large ball of fire explodes from the Charred end. Treat this a Fireball cast from a 3rd level caster. 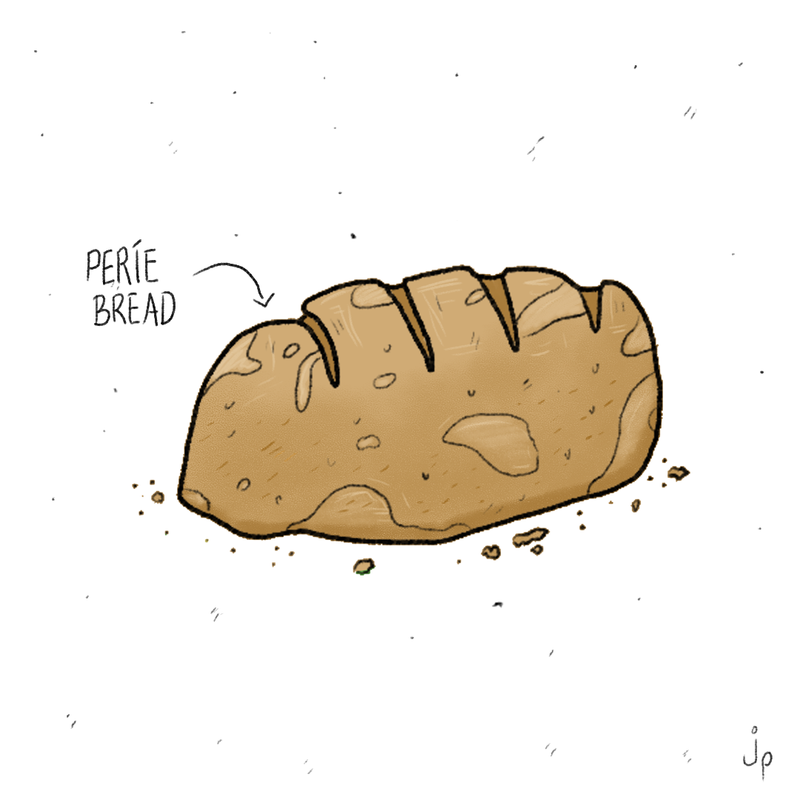 Created by a particularly desperate Mercenary and his Wizard travelling companion, The Perie Bread works as both a small shield and a light snack. While the bread works as a standard small shield, it also allows the bearer to consume the bread which will regenerate after a short rest. 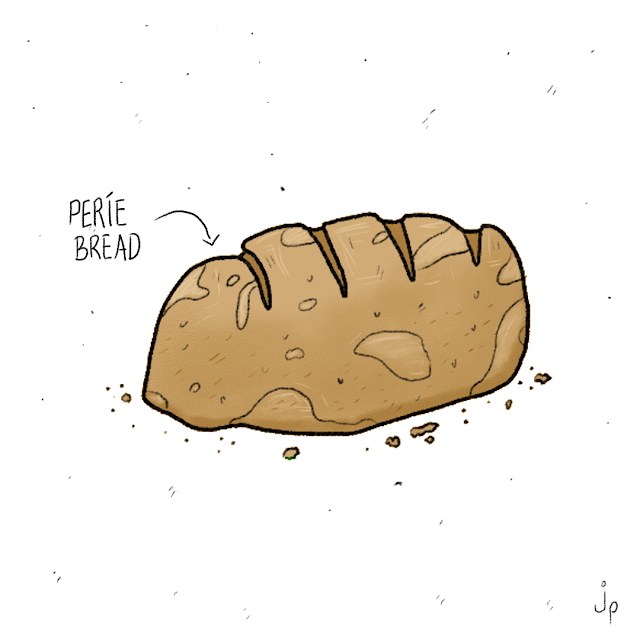 The bread itself does not contain and magical properties and only serves to fill the user's belly. If the shield is eaten three times before a short rest, the shield is "consumed" entirely, and will vanish before the user's eyes. 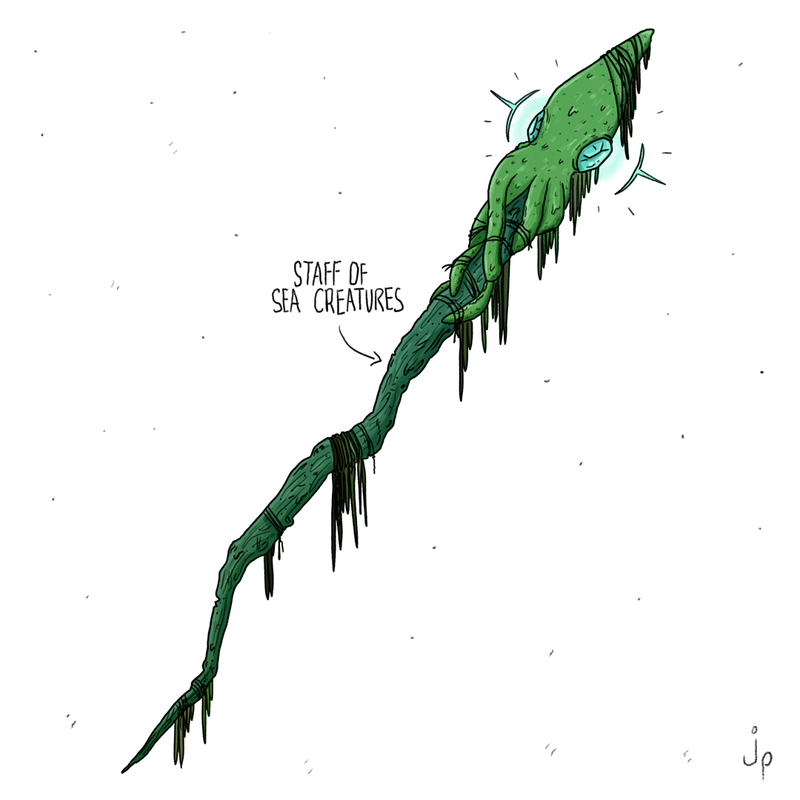 Usually found washed up on remote beaches near rumoured mermaid settlements, the Staff of Sea Creatures is capable a summoning and controlling sea creatures. A caster is able to summon and direct up to X sea creatures (X being Caster Level) for 2d6 minutes. A DC check of 10 plus the number of creatures being summoned is required to activate the staff. If the check passes, the creatures are under the caster's control. If the check fails, the sea creatures arrive, but are hostile towards the caster. Believed to have been specifically created to battle Gorgons, the Glass Shield offers no physical protection aside from it's enchanted reflective surface. Any creature that catches its reflection in the shield must pass a DC 15 check or become mesmerized by the shield, and unable to move or act. Each round those mesmerized must attempt to pass this save or remain mesmerized so long as the shield is in front of them. Attacking a mesmerized creature will break the enchantment. 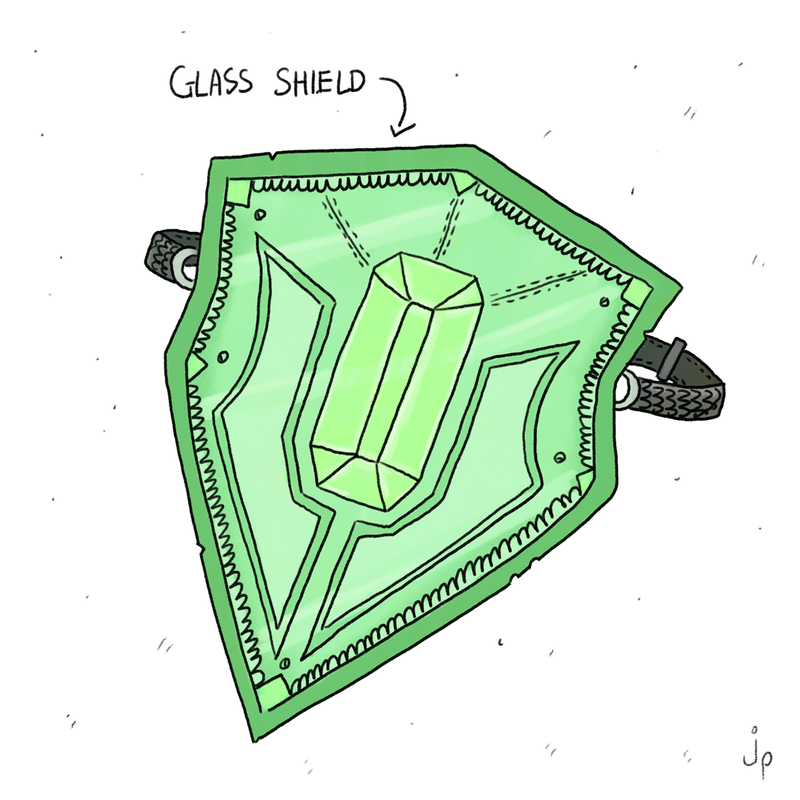 Unfortunately being made of glass, anything that successfully strikes the shield will cause it to shatter. If you like James Perrett's art you can see more of it on his Instagram page @jaaamesperrett or if you would like to own some of his prints for yourself you can buy a copy on his Etsy Store. Thanks James! 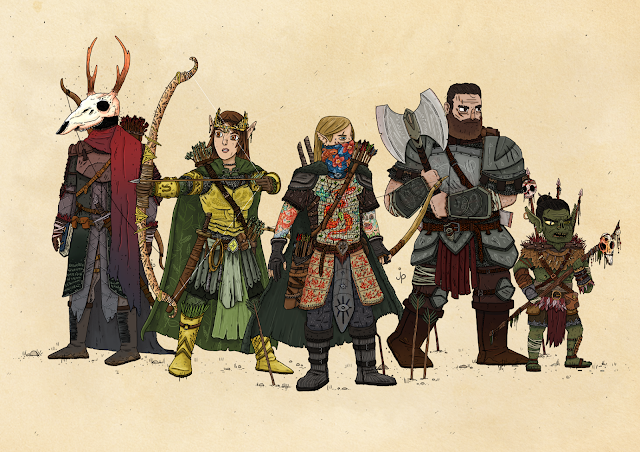 We had so much fun making these magic items and looking through the dozen of drawings you have created, and I am sure that we will be making more! It was a great way to start off our D&D game with everyone picking an item then figuring out what they it would do in game. More Magic Items to come, and be sure to check out more of James' awesome fantasy art.